This is my 'Wait... what's my name?' face. 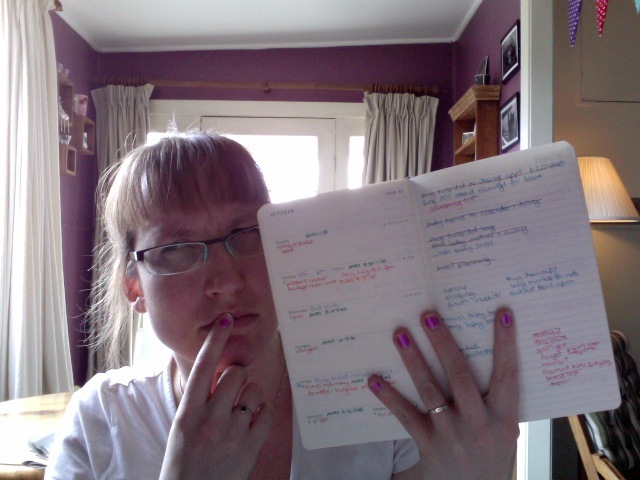 With my awesome colour coded diary. A few months ago Mr S's rotating monthly roster started getting the better of me, meaning that I kept stuffing up Millie's daycare hours as well. So I bought a new diary and some new textas and started colour coding my life. Mr S's work hours are in dark green, Millie's daycare is in orange, my to do list is in purple and I cross it all out in red. Other things are grey, blue, and the meal plan is in red. The textas are freakin' awesome to tote around - they fit in the strap of my diary and their hard case means they don't get lost/Milliefied. I also found some ways to better organise the rest of my life. To help me keep a visual track of where I'm up to with blogging (and often forgetting about this little beauty of a form... therefore I sometimes fall behind) I've been using this Blog Weekly Calendar from LivingLocurto.com. 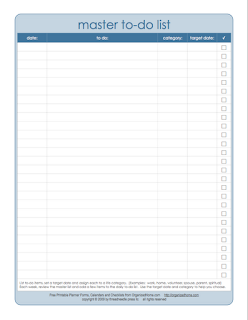 With a calendar on one side and a 'To do', 'Blog Parties' and 'Ideas for Next Week' on the other side of the page, it's a truly marvellous tool for a forgetful blogger like me. When I stick to it, that's when I do some great posts. 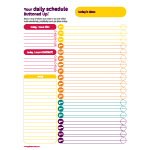 Day to day I try to follow the list I write in my diary, but if I need extra nudging away from Facebook I use a Daily Schedule Form from GetButtonedUp.com. 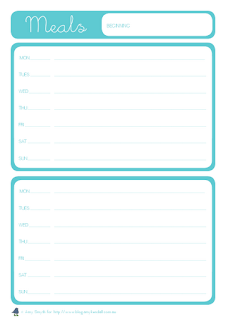 I also have their To Do Itinerary Form printed out to sometimes help me get a better visual of my week, but I generally use my diary for this too. I have a few printouts of the Master To Do List from Organizedhome.com for the laundry list of "to do's"that aren't freakishly urgent yet need to be noted or I will forget about it. Case in point: I know write 'Check car oil' in my diary every fortnight... or I don't do it. The last time I actually got around to doing it, months after I said I would, the car took 4L of oil. Oops. Sorry Handsome James. Thanks for not dying on the highway. I am yet to laminate but have ready to go a few copies of the Pantry Inventory and Freezer Inventory (Freezeventory as I affectionately think of it) to stick on the pantry door and help us in our post baby haze. Remember I talked about treating your freezer as a take-out joint? Yup. This will help. Then there's meal planning. I am a firm believer in meal planning, and writing shopping lists for meal planning. I've talked about this before, but never actually shown you my meal planner. 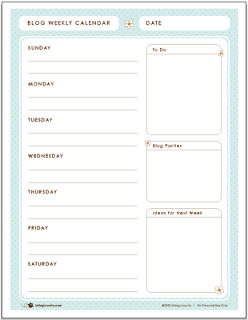 There are HEAPS of Meal Planning printables out there, but I just didn't find one I liked. 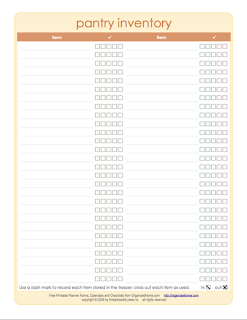 So I oh-so-quickly whipped up a fortnightly meal planner that I stick to the pantry every fortnight. We only shop weekly, but this gives me a good visual of where we're at for the next fortnight, and I can make sure we're eating precisely what I feel like cooking on any given night. Bacon and eggs for dinner? Phew. It's on there. 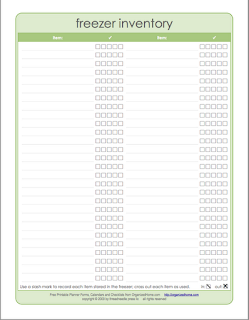 You can download the Meal Planner and print it for yourself if you so choose. It's pretty basic but it has everything I need on it, and enough room for me to write meals for Mr S and myself, and also what M will eat if she won't have what we're having. Want it in another colour? Let me know. I also know that there's so many oh so pretty printable planners (I know, I've spent hours looking at them) but for me, functionality is key. I realise these are all pretty plain, but they get the job done, and that's what's important for me. Design Finch has a great round up of a few pretty planners that you might like to take a squiz at. I have a stash of these forms in a display folder that I can grab easily and get planning. 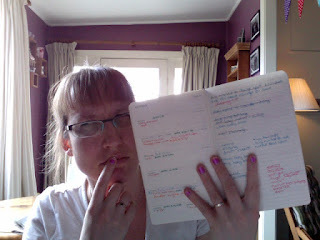 I try to do our meal planning and shopping list on a Sunday so I can have a clear idea of the upcoming week. Next in this series: my serious love of HomeRoutines. Baby Br... Wait, what was I saying?